Monday is not considered to be the day for weddings but we do get a few throughout the year. The Taxi was booked by Lucy’s Dad and neither Lucy or Jack had any idea about the surprise, they were just told that someone would pick them up in the morning. When she came out of the house and saw our White TX4 (Lily) waiting for her she was really excited as apparently she is a prolific user of taxis in London. Lucy’s mum had emailed us the day before asking whether we could provide some champagne for the happy couple on the day which of course was no problem. 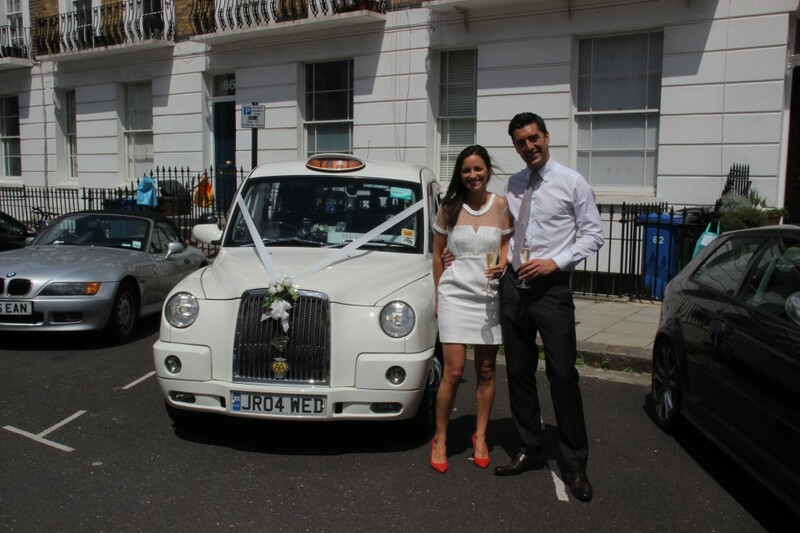 Lucy and Jack had a glass of chilled champagne for the journey down to Merton Register Office. Merton Register Office is in Morden Park House in Morden Park and is a beautiful building, when you enter from the main road it doesn’t at first appear to be quite nice as it is set behind a modern college building and some council offices, but as you drive up the long driveway to the house which is set at the front of the park this lovely old house comes into view. After the ceremony we drove onto Cannizaro House Hotel in Wimbledon which is another beautiful location where Lucy and jack joined their families for a celebratory lunch. 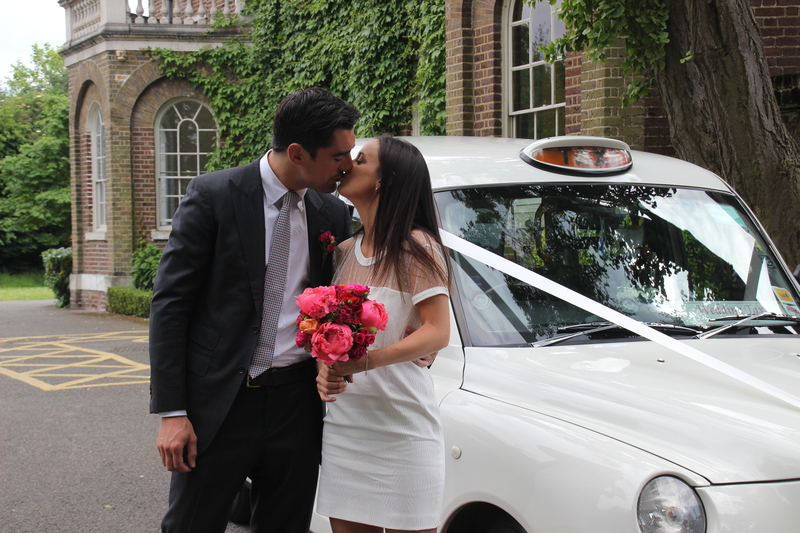 I was to stay with the bride and groom all day so I waited for Lucy and Jack until after the lunch and drove them onto the York & Albany Hotel back in Camden after a short detour to drop their wedding presents off at their flat. 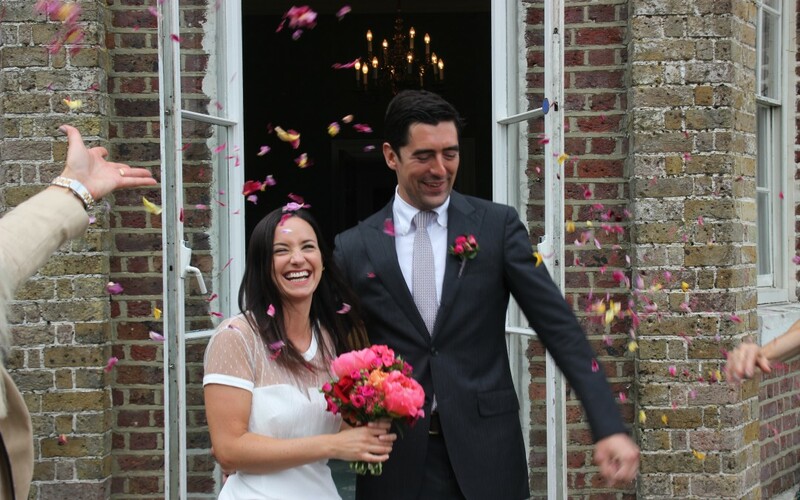 Lucy and Jack were off to France a few days later to celebrate their wedding with 150 family and friends, they had hired a castle and were all flying over together, except for Jack’s Dad who was driving as he didn’t like flying, quite ironic as Jack is a pilot for British Airways. As there was no official photographer for the day I was again happy to take many pictures of the happy couple which I Drop Boxed over to Lucy that evening.